Gorgeous simple little earrings for pierced ears with lovely blue turquoise stones with light grey veining that is so unique to turquoise. 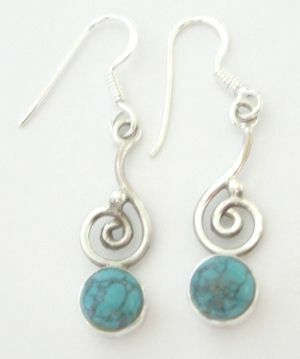 The lovely blue stones are set in plain .925 silver which is crafted with a super spiral design. These earrings are great earrings, very classy and suitable for everyone.